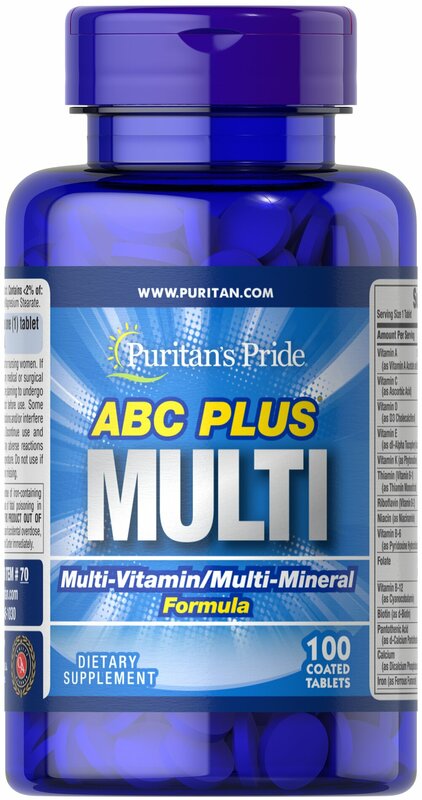 Now getting your daily nutrients is as easy as ABC Plus! This dynamic formula offers a full spectrum of vitamins and minerals for your healthy lifestyle. No Artificial Flavor, No Artificial Sweetener, No Preservatives, No Sugar, No Milk, No Lactose, No Soy, No Gluten, No Wheat, No Yeast, No Shellfish.